The Executive Director of Public Safety and Chief of Police Marc Pino has recently returned to UCCS after completing a 10-week program at the FBI Training Academy. Pino was one of 16 law enforcement personnel from Colorado and Wyoming to participant in an advanced professional course to improve the administration of justice in police departments at the FBI National Academy. Pino has been at the FBI’s training facility in Quantico, Virginia since Oct. 1. “In order for an individual to attend the program at the FBI Training Academy, the application process could not progress without a nomination from someone who has been to the program before or by an FBI representative,” said Pino. Once he was nominated, the following task included submitting a letter of interest to the Academy. “I applied three years ago. It took three years for them to have a spot to get me in,” said Pino about the application process. Pino said about 250 people are present at each session per year. Of those who attend, 200 are from law enforcement in the United States, while the remaining 50 arrive from other countries. “All 50 states, with the exception of one state were [represented] there,” Pino. Pino shared that one of the bigger impression he received from the Academy came from the international law enforcement. In addition, Pino was impressed by the discovery of other departments dealing with similar issues, regardless of the law enforcements size. “It was nice to hear we’re not alone in some of the things we’re dealing with,” Pino said. Aside from the physical training component, Pino had to take five courses predicated on his interests. While at the Academy, Pino’s curriculum of interest included a course in employment law with instruction on the rights of employees, as well as a course on leadership training addressing contemporary issues found in law enforcement. “I was away from home for eleven weeks, which was tough, but it was worth it,” said Pino. After completing the program, one of the goals Pino has for the community of UCCS is to further engage law enforcement with the community by establishing communication and input. “Once that trust gets eroded between the community and the police department, it’s really tough to build back up so want to continue to build up on that,” said Pino, emphasizing the importance of a relationship between the community and its law enforcement. “In terms of an active shooter — I know that’s a big concern for the community — and so trying to get their input on what we’re doing and how we can improve,” said Pino. 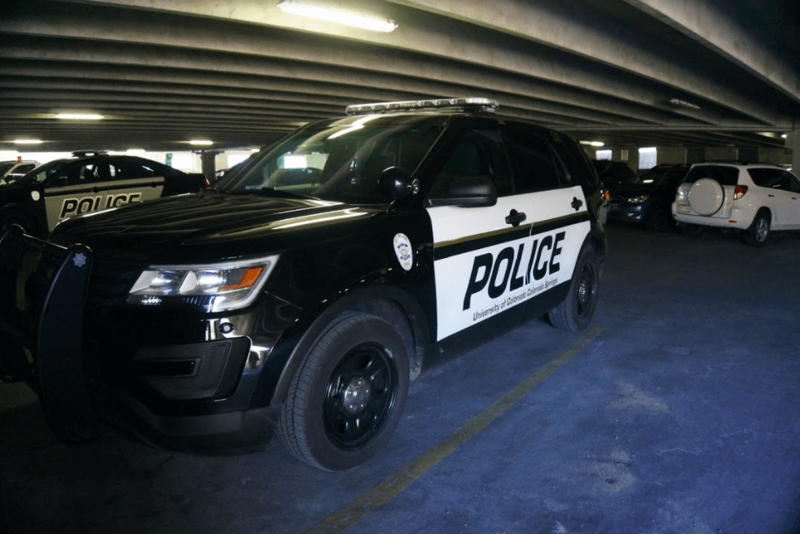 With Pino’s new training, knowledge in higher law enforcement and connections to officers, his ultimate goal is to provide unity within the community at UCCS and its officers.